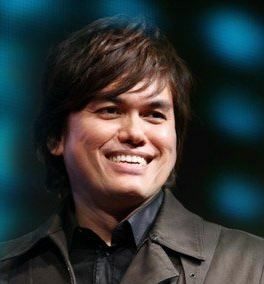 Joseph Prince (born May 15, 1963, Singapore) is the senior pastor of New Creation Church in Singapore, one of Asia’s biggest churches. He was one of the church’s founders in 1983. Prince has been invited to preach at churches in Australia, London, USA, Canada, Norway, Netherlands, South Africa and Indonesia. Notably, he was invited to preach at the Grace & Favour Seminar at Hillsong Church Sydney, and Hillsong London in 2006. In 2007 and 2008, he was invited to speak at the Hillsong Conferences in Sydney and London. In 2009, he was invited to speak, alongside Joel Osteen from Lakewood Church, at the 2 Days of Hope Conference held in Johannesburg, South Africa. Prince’s TV program Destined to Reign is broadcast in more than 150 countries. His broadcast program is also streamed online through Internet and podcasts for viewers. Are you ruled by destructive habits, low self-esteem, or angry thoughts? Discover how to reign over every adversity by depending on God’s grace! Assuring you that your sins are forgiven, Prince explores the concept of grace, exposes the devil’s strategies, and encourages you to rejoice in your deliverance from the law through the cross of Christ. 320 pages, softcover from Harrison House. Based on Prince’s best-selling book, this collection of daily readings will help you become more aware of and dependent on God—not your own efforts—to achieve success in every area of life. Each meditation includes Scripture, an excerpt from Unmerited Favor, a prayer, a liberating thought, and reflective journaling space. 320 pages, softcover from Charisma. Are you wounded by pain, doubt, and fear? Travel to the heart of Jesus where you’ll experience his compassion and grace! Offering inspiring Scripture, simple reflections, and powerful declarations, Prince shows you how to accept God’s desire to make you whole, receive healing freely, rest in the finished work of Christ, and more. 256 pages, hardcover from Charisma. Did you know that it’s God’s desire for you to succeed in every area of your life—and with his help, you can! Brimming with motivational insights, Prince’s resource will teach you to depend on Jesus alone for success—not on your own efforts. Get ready to be transformed by God’s passionate love, great blessings, and undeserved grace! 368 pages, softcover from Charisma.